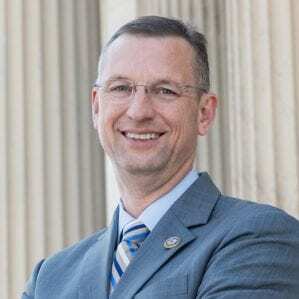 HIAWASSEE, Ga. – US Congressman Doug Collins is scheduled to address the Towns County Republican Party at Moondance Restaurant (formerly Cafe Portofino) Tuesday, April 15, from 5-6 p.m. The public is invited to attend. “Do you remember, ‘Madame Attorney General I never thought I would hear myself say this, but, I miss Eric Holder,'” Towns County GOP Betsy Young asked. “Congressman Collins was speaking to Loretta Lynch as she refused to answer questions regarding the visit on the tarmac with Bill Clinton. Now as the Ranking Member of the Judiciary Committee, he has a seat on one of the most powerful committees in the US Government and is the number five person on the Republican side of the US House. He’s vocal and stands up to the tacit remarks of the those who constantly attack and belittle our President, Donald Trump. Congressman Collins has served as a United States Representative of Georgia’s 9th Congressional District since 2013. Collins is a member of the House Committee on the Judiciary and is Vice-Chair of its Subcommittee on Courts, Intellectual Property and the Internet. As a member of the House Committee on Rules, he also helps manage every piece of House legislation that comes to the House floor.